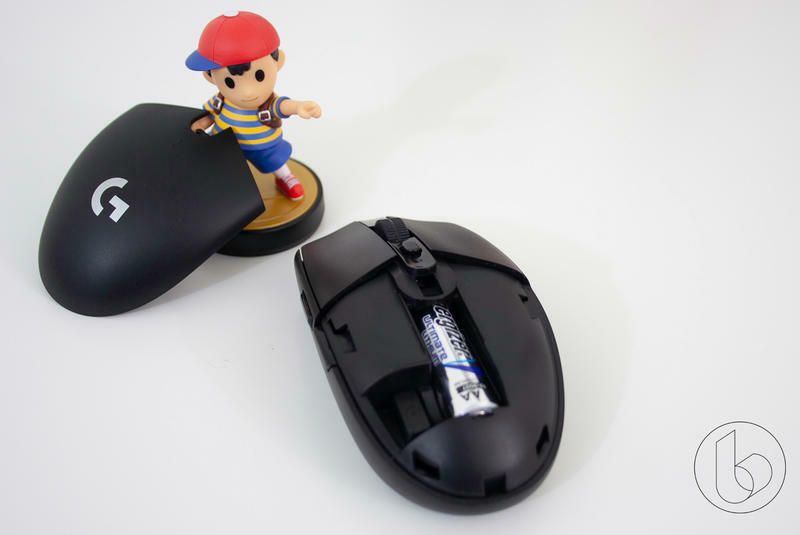 How inexpensive can you make a wireless mouse without making it unusable in intense games? That's a question Logitech is looking to answer with the Logitech G305 gaming mouse, the cheapest wireless gaming mouse in the new batch of Logitech G mice. At just $59, the mouse is cheaper than even some of the wired mice while still making use of its newer Lightspeed and HERO technologies for ultra-low latency and extended battery life. As any product grows in price, features are often tacked on to justify the higher price. 10, 15, and even 20 buttons, RGB LED lights, and swappable buttons are just some of the features we see that, while nice, don't help you mouse any better. The G305 does away with all of that. This is a simple mouse in the best kind of way. 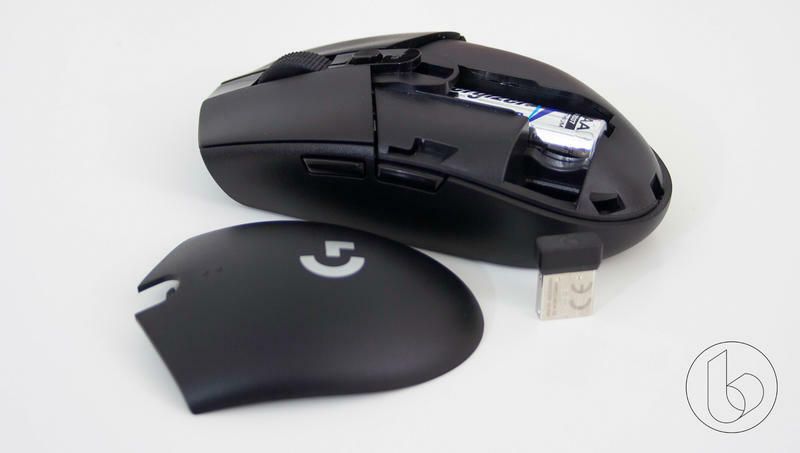 The G305 takes its design cue from the Logitech G Pro mouse, but lops off the wire. It has the same nearly-symmetrical design with just a few buttons – left and right, back and forward, and a clickable rubber with a grippy, toothed surface. The only frill is a customizable button beneath the mouse wheel that defaults to switching DPI. Any of these buttons can be re-programmed in the Logitech Gaming Software suite, and those settings can be stored on the mouse to be used on another computer. There's no lighting on here – the G logo is a simple silver logo this time around, standing out nicely against the matte black plastic that makes up the rest of the mouse. Only the back and forward buttons and the space containing the mouse wheel and DPI button are glossy, and far too small to get any prints on. My only real complaint here is that the G305 is symmetrical in shape, but not in practical use. The mouse features right-oriented buttons but no options for left-handed players. Those players will be stuck going with Logitech's more expensive G903 mouse, which lets users pick which side – if either – to put buttons on. The mouse seems to beg to be taken with you when you go places. At 99g, it's really light and small. Even when you drop a battery in there, the G305 still feels incredibly light. I've been a fan of Energizer's lithium batteries for a while for how light they are, and that only helps make the G305. 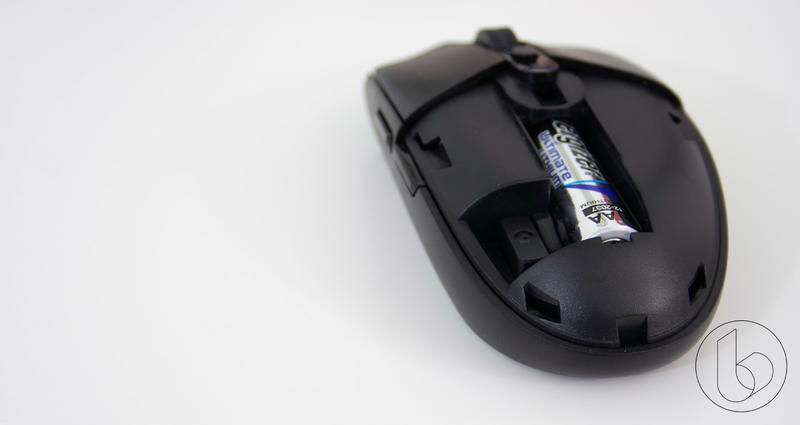 The wireless receiver can be stored in the mouse body next to the single AA-battery slot. The only downside to the mouse, really, is the lack of a secondary Bluetooth connection. The G603 can switch between Bluetooth and Lightspeed wireless, allowing it to do double-duty in a work environment or to actually go ultra-portable by not requiring a receiver. 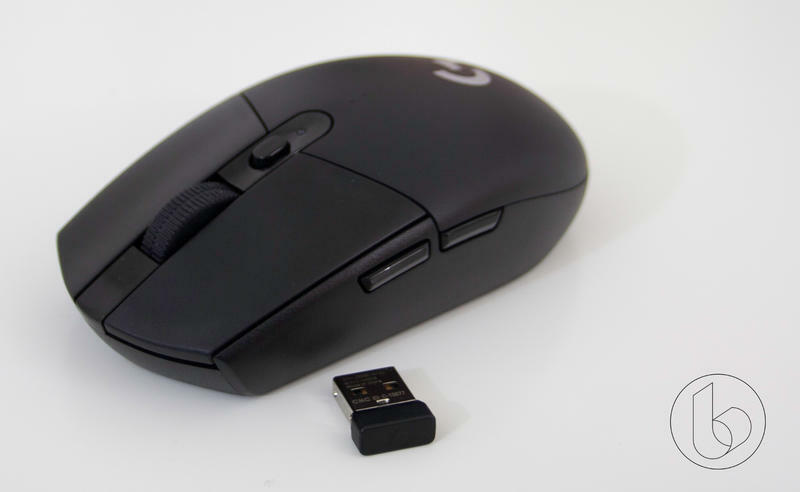 The G305 uses Logitech's HERO sensor, which it says is 10 times as efficient as the classic PIXART 3389 sensor while still offering the same level of sensitivity. Meanwhile, the Lightspeed tech promises the same ultra-low latency of Logitech's higher-end mice like the G903. I used the G305 as my primary mouse for a few weeks as my main work and gaming mouse and was thrilled with how it performed no matter what I threw at it. High-speed, high-precision games like Doom feel great with the mouse and I never felt like it was holding me back. It worked great for extended Sea of Thieves sessions along with 2D games like Divinity: Original Sin II. Because the mouse is compatible with the Logitech's LGS software, you can set up individual profiles for individual games and switch quickly between them. If you're a Zenyatta main in Overwatch and an ultra-precise sniper in PUBG, it's easy enough to get both configurations out of the mouse, and it'll handle both admirably. 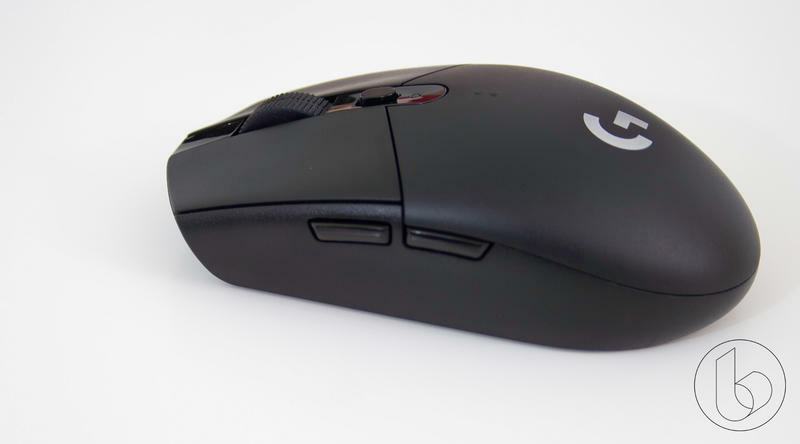 The Logitech G305 isn't a full-featured mouse, but that's because it doesn't want to be. It's a racecar – not a supercar like the G903 or a multi-purpose mouse like the G603. There's absolutely nothing extra on this mouse, but it still offers the same features that make a gaming mouse a gaming mouse – great sensitivity and low latency – while being lighter than most mice out there. I wish it had Bluetooth and an ambidextrous option, but even without those, it's still a stellar mouse with one of the best price-points yet for a high-performance gaming mouse. Disclaimer: Logitech provided us with a unit for the purpose of this review. We used it as our primary mouse for a week before beginning this review.